and mom Ms. Judi featured us on "hat day"
Congratulations, Benny and Lily. Your wear well the hat ! You two always wear your hats so very well. Handsome and beautiful!! What beootiful hats you got! Come by and see me in mine too! Very nice! You guys look great! Those two hats fit your personalities perfectly! YOu both look so stylish! This calls for a special outing! You look great in your hats! Oh~ those are wonderful! 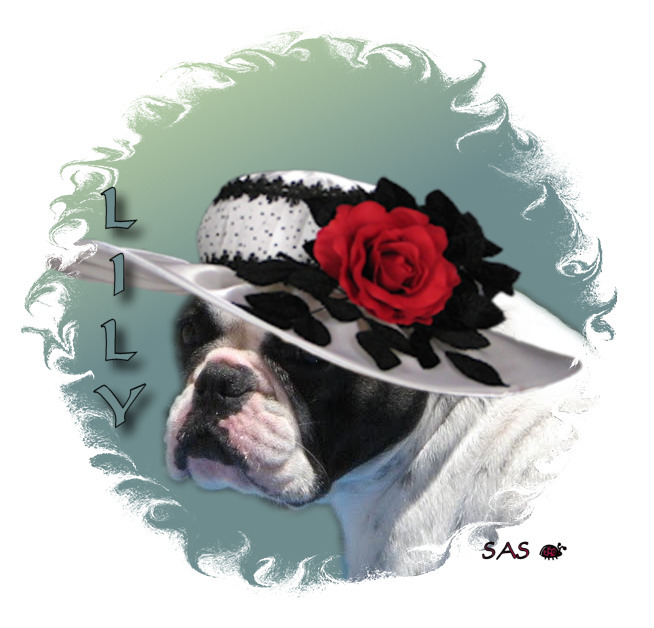 Lily, yours is pretty enough to wear to the Kentucky Derby! Love it! You both look great! Hello my friends already had a lot of your sudadera but I've been very sad because my namogadinho passed the bridge of the rainbow as you say, I say he is a star in your most and this is just my, my whiskers are full of tear, but he does not want me to cry and continued with my friends to play with them ..
You guys are meant to wear hats!!! Both of you are just adorable. We heard that you experienced earth cake folks in California have been giggling at the reaction of Northeasterners to yesterday's earth cake. Is that true??? We used anonymous because otherwise we can't seem to post. I LOVE those hat pictures. My favourites today. In fact I would have them framed on my wall by my bed! Gorgeous, Lily! Hope you catch some fish, Benny! You two are "hatted" almost every day but these ones are very cute! 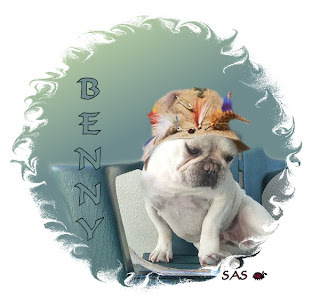 Oh my such a hansome hat Benny and a beautiful one for Lily. You two are like hatted every day! But lookin good! Benny, I'm not sure that actually qualifies as a hat, more like a nature exhibit. But Miss Lily looks stunning. You wear some gorgeous hats. I think your fishing hat is pretty cool, and Lily looks like she's ready to go to a ladie's tea. Have fun! You both look fantastic in those hats! I have never ever seen two hats look so spectacular on two charming heads!!! You guys know how to rock it! Oh wow! You two look great in those hats! I just love your kind! A man in the neighborhood has one of your "cousins" and I love saying Hi to her - and having her greet me! Going to be following along! Please join me at my history blog - I'd love to have you! Oh you both look absolutely stunning! Just out of curiousity, how many hats do you both have?! Wow, SAS did a great job of hatting you both! Very chic! Looking good guys! Is it time for the Kentucky Derby?